Charles M. Jacobs, President of the Friends of Madame White Snake, was first involved in the performing arts during his formative years at the University of Chicago, where he earned his AB and JD degrees. At the University, he was heavily involved in on and off campus theatrics. 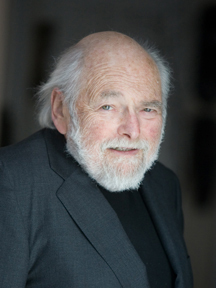 He worked with Paul Sills in University Theater, the “Tonight at 8:30” repertory company and Playwrights Theater, and with Sills and David Shepherd he was one of the initiators of Compass Players, the country’s first improvisational theater (which later became the renowned Second City). After practicing law briefly in New York at the Paul, Weiss firm, Jacobs opted for a more diverse career. In the next several years he was a consultant (with David Sage, Inc.) to the natural gas industry’s “total energy” initiative; a collaborator with Thomas F. Gilbert (author of two seminal works, Mathetics: The Technology of Education and Human Competence: Engineering Worthy Performance)at his Praxeonomy Institute; a leader of an aborted attempt to convert Greenwich Village’s landmark Mills Hotel into a performing arts venue (later it became the site of the famed Village Gate nightclub); a facilitator of the financing of a strip shopping mall in Mahopac, New York; a planner for a televised stock market ticker venture; an advisor to the late George DeKay of M Evans, publisher of the first work on aerobics; and a consultant for Aspen Systems’ Key Word in Context computerized law search service, a forerunner to Nexus-Lexus. By his involvement in such diverse projects, Jacobs discovered his talent for creating products and services of value. At Aspen, he used its Hospital Law Manual publication as the basis for health care law seminars presented under the auspices of the American Association of Hospital Administrators (now Health Care Organizations). This program spurred the growth of health care law as a legal specialty. He was next Associate Director of the Joint Commission on Accreditation of Hospitals (now Health Care Organizations.) There he established a new unit, the Quality Review Center, for crafting and promulgating to the nation’s hospitals a procedure for monitoring the physicians’ clinical performance and other programs for enhancing medical care quality. He capitalized on his Joint Commission initiatives in the healthcare field through two companies he founded and built—InterQualand MediQual—that continue to define standards of providing medically appropriate health care and evaluating its quality. Both companies were acquired by and are now divisions of NYSE listed companies, InterQual of McKesson (via HBOC/Access Health) and MediQual of Cardinal Health. InterQual devised a new approach to utilization review using criteria based on hard clinical findings. It addressed the medical necessity of hospital admissions and stays, medical and surgical treatments and procedures, X-rays and imaging studies, need for specialist services, and other care modules. The InterQual criteria and the innovative, practical, clinically transparent review system in which they were embedded became the cornerstone of utilization review programs and effective managed care nationwide. MediQual originated a method for grouping patients into cohorts that reflected pre-treatment illness severity and post-treatment outcomes. The method was unique in that it allowed uniform quality-of-performance comparisons among hospitals and physicians. It recognized and overcame the “my patients are sicker” variable that confounds performance evaluation. During his career, Jacobs was recognized as an innovator and leader in the health care field. He was American Medical News’ 1988 Man of the Year for his pioneering work in health care quality assurance. He was made an honorary lifetime member of the American College of Utilization and Quality Control Physicians and noted in a McGraw Hill mid-80s survey of most influential policy makers in healthcare delivery. He is lead author of Measuring the Quality of Healthcare: The Rationale for Outcome Audit. Jacobs now serves as Senior Consultant to National Peer Review Corporation, an external peer review service for the clinical analysis of suspect substandard medical practice and as Chairman of Evidox Corporation,a provider of electronic discovery, litigation support and litigation document hosting services.